With the tenth anniversary celebration of the opening of International Terminal D at Dallas/Fort Worth International Airport comes the announcement that more upgrades are in the works. The airport will be adding a spa, more retail shops, expanded dinning choices and a much larger duty free shopping area. Top luxury retailers, like Gucci and Dior, will be setting up shop in the terminal. The renovations should be wrapped up by the end of 2016. It’s the first time the terminal has been upgraded since opening in 2005. If you love duty free shopping, you’ll be happy to learn that the upgrade will include a two-level, 13,000-square-foot store, where you can check out leading luxury brands like Chanel, Ferragamo, Gucci, Dior, Burberry and Lancôme. But there’s more for those of you who like to shop while waiting for your flight. New retail stores will be opening, including Coach, Mont Blanc, Longchamp, Hugo Boss, TUMI, Michael Kors, M•A•C, Jo Malone and Aveda. You’ll also be able to grab a meal at The Italian Kitchen by Wolfgang Puck and Café Izmir Mediterranean Tapas of Dallas. The new additions to the terminal are a way for the airport to give its customers more of what they want during their travels. “The Airport is working daily to enhance options with world-class retailers, restaurants and convenience and relaxation amenities for an unmatched travel experience,” said Ken Buchanan, DFW’s executive vice president of revenue management. 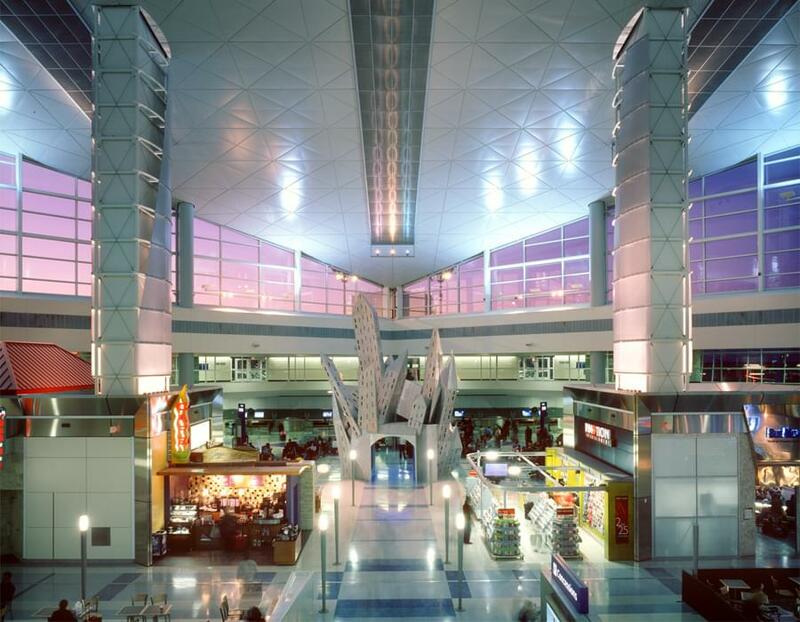 Terminal D opened for business in 2005, along with the Grand Hyatt DFW and the Skylink people mover system. They were designed to streamline travel at the hub and give travelers a better experience. The terminal has helped the airport bring on nine new international carriers, and add 20 new international destinations. With the new airlines and destinations came more than 2 million additional passengers, representing a 385 percent increase.